Phil’s Fails: Is it Time to Say Goodbye to Hughes? 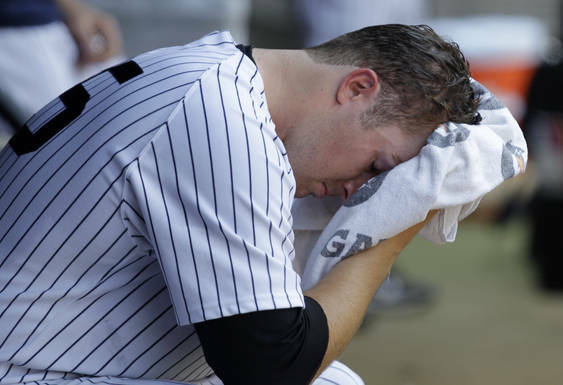 They say all good things eventually come to an end, and the Yankees’ 10-game winning streak came to an end on Tuesday night. The Atlanta Braves were able to sneak out a 4-3 win to stop the Bombers. In the rubber game of the series yesterday afternoon, Phil Hughes took the mound, looking to steer the Yankees back into the win column. But, like the majority of his starts this season, Hughes cracked. He allowed six earned runs in the 4.1 innings he pitched, serving up a career-high four home runs to the Braves. 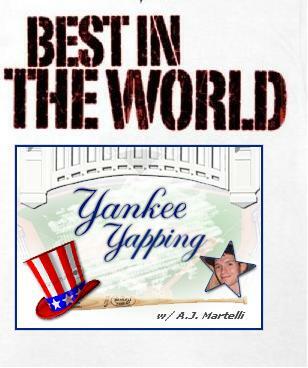 The Yanks went on to lose, 10-5. Hughes has now given up 19 homers this season, and is 7-6 with an ERA of 4.94. Facing teams with records above .500, Hughes is 2-6, and in six of his 14 starts this year, he’s given up four or more earned runs. Only one question needs to be asked right now: how many more anvils are the Yankees going to let this guy drop on them? Before Hughes first debuted in April, 2007, he was dubbed the “Pocket Rocket” – being compared to a young Roger Clemens; a power righty with a sidesplitting fastball and dazzling breaking stuff. Hughes lived up to the nickname on May 1, 2007 – the night he spun a gem and nearly no-hit the Texas Rangers in Arlington. A hamstring injury forced him out of the game and he lost his bid for the no-no at Texas. In a lot of ways that scenario has defined his career. Hughes has always been close to achieving greatness, but it seems to elude him. For the first half of the season, Hughes was as dominant as a Cy Young candidate; blowing hitters away with his, dare I say, “Phil-thy” stuff. But after registering the loss for the American League in the All-Star Game, everything went downhill for him. 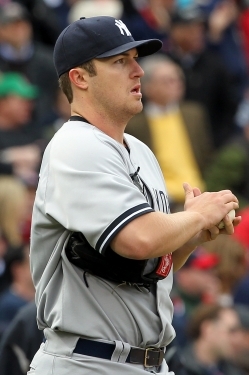 Hughes went on to lose two important games in the American League Championship Series to the Texas Rangers, and in 2011, was shut down with a fatigued arm. Which brings us to this year – and his inconsistency; his inability to defeat viable opponents. Two of Hughes’s seven wins this season are legitimate victories. 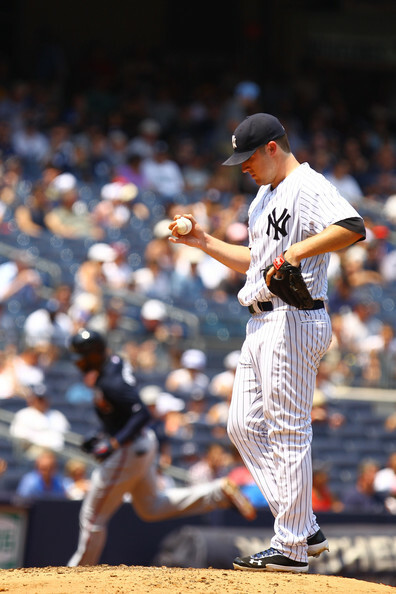 On June 3 he tossed a complete game against the Detroit Tigers on the road, allowing just one earned run on four hits. Being that Hughes pitched well against a team (that at the time was) near the top of the AL Central – and a lineup which holds Miguel Cabrera and Prince Fielder – it was a solid win. On Friday Hughes faced off with the NL East’s best, the Washington Nationals. He threw up six innings, while only allowing one earned run. Hughes struck out nine and walked two on the way to another road victory. The win over the Nats marked the first game this season Hughes started in which he did not allow a home run. The rest of Hughes’s wins this year have come against teams who the Yankees have no business losing to: the Mets (June 9), the Kansas City Royals (May 6 and May 22), and the Minnesota Twins (April 19). As for his losses: (along with the Braves) the Toronto Blue Jays, Tampa Bay Rays, and Rangers have each lit him up. The Los Angeles Angels have beaten him twice. If you ask me, Hughes’s biggest problem is his mechanics. Just from watching him pitch these last few seasons, I’ve noticed a little bit of a pattern. Hitters who face Hughes usually see a lot of his pitches, and more importantly foul a lot of his pitches off. His fastball a lot of the time has life on it, but never a whole lot of movement; it has no tailing action, it’s as straight as an arrow. In baseball, hitters can absolutely feast on a flat fastball. And the same goes for off-speed pitching. When Hughes’s opponents see his breaking ball enough times, they are eventually able to catch up to it. Quite a few of the home runs he’s allowed this year have come on breaking balls; he’s been hanging them up in the zone for the batters to crush. It’s obvious an adjustment needs to be made in order for him to be successful. 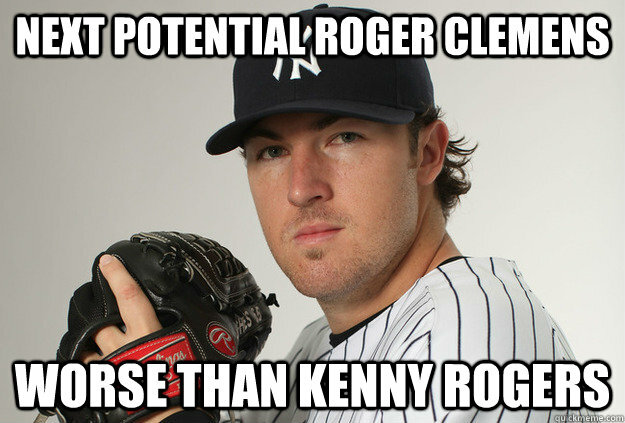 Yet, for a five-year veteran who was once compared to Roger Clemens, shouldn’t that adjustment have already been made? 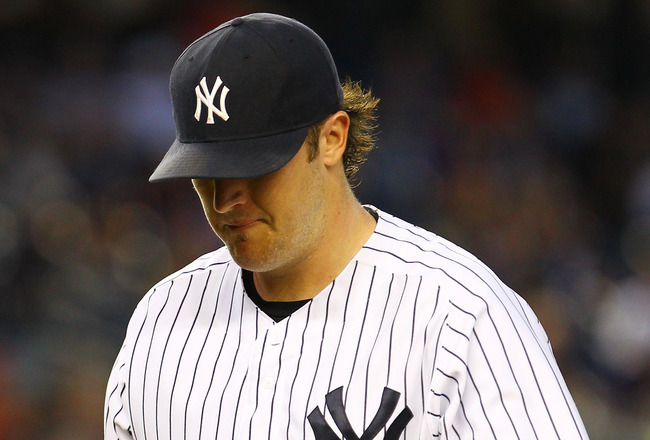 The Yankees signed Hughes to a one-year deal on Jan. 16 this year worth $3.25 million. The way I see it, the team has two options. They can either let him finish out this year and let his season play out, or trade him before the end of July. If the Yankees allow him to stay on board and his 2012 season pans out to a record barely above .500 combined with an elevated ERA, they don’t have to re-sign him – and I don’t they will. 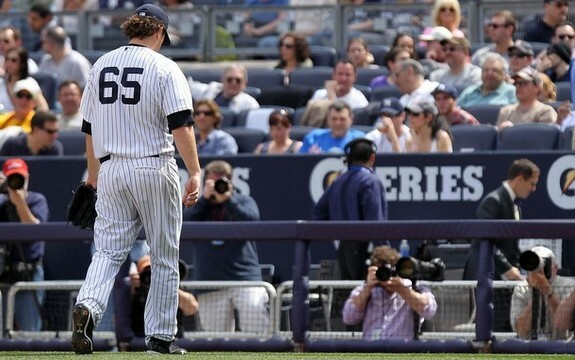 They’d probably rather let him walk away and hope Michael Pineda can fill what would be the void. The Yankees also have the option of trading him this year. The 24-45 Chicago Cubs have said they are willing to hear offers for virtually anybody, and have a few starting pitchers that could potentially be successful in New York – Matt Garza and Ryan Dempster, to name a couple. If the decision was up to me, I would put Hughes on the trading block; throw his name out there and see if a National League team might want to take a chance on him. The alternative of trading him as opposed to keeping him on the team might pay dividends. Why keep him aboard and risk him losing important playoff games, as he did in ’10? His next start will come on Tuesday at home against the Cleveland Indians, a team currently above .500 at 36-32. Hughes last faced the Indians in 2011 – and lost. At the end of the day, Hughes hasn’t exactly been the “Pocket Rocket.” At most he’s been an unreliable, inconsistent pitcher whose claim to fame (thus far) has been a good season as a reliever in 2009. Thankfully for me – and most Yankee fans who are growing tired of watching him fail – his time in pinstripes could be coming to an end.